This season, don’t bother with red and green — black and white are the true colours of the season. 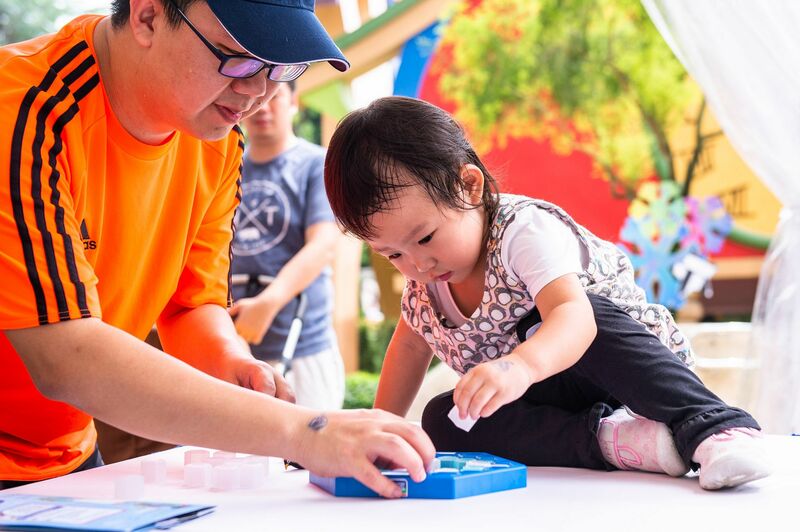 Take advantage of the year-end school holidays to head down to Jurong Bird Park with the family, and get to know everybody’s favourite aquatic birds: penguins. Of the Park’s 3,500 birds, over 60 are penguins from five different species, namely the African penguin, Humboldt penguin, rockhopper penguin, macaroni penguin and king penguin. While they may be monochrome on the outside, the truth of it is that these birds have colourful personalities that belie their black and white exteriors. So as Christmas rounds the corner, there’s never been a better time for you and your family to get better acquainted with these friendly birds, all dressed up in their “tuxedos”. Want to learn more about these cute creatures? Never fear — every weekend until Dec 30, and on Christmas Day itself, you and your family will have the opportunity to brush up on your penguin knowledge by taking part in the Penguin Holiday Hunt. You’ll be treated to a penguin collectible pin for completing all stations, so make sure you finish them all. Out of all the penguins in the Park, the African penguins are among the most mischievous — a trait that’s won many them many admirers. Those with a soft spot for these adorable birds can head down to the Penguin Coast on weekends and on Dec 25, to watch them frolic and play with bubbles in their outdoor enclosure. These shows will be held at 11.45am, 12.30pm and 2.30pm. If you’re attending the 2.30pm slot, you’ll get to chat with the penguins’ keepers and find out more about these cute and cuddly clowns. 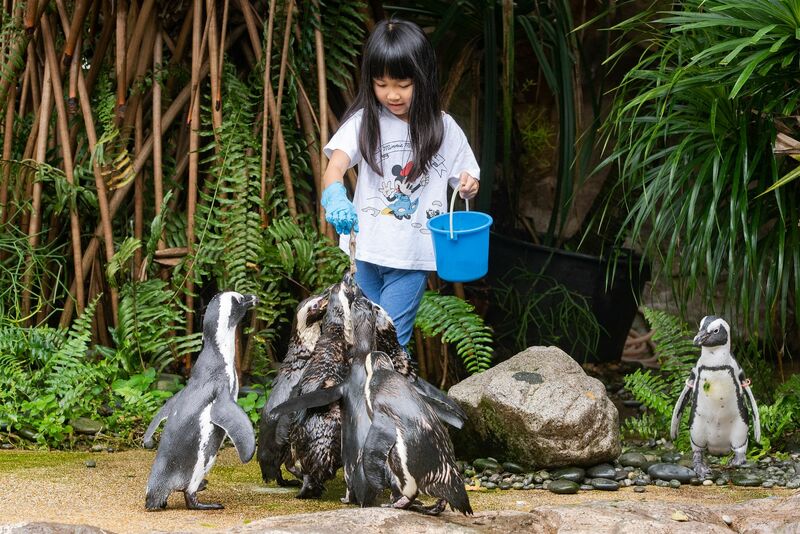 That’s not all: take part in a contest on the Jurong Bird Park Facebook page and stand to win an exclusive chance to feed the African penguins in their enclosure — a rare opportunity that shouldn’t be missed. Out on a romantic date? A movie under the stars is the perfect activity. On Dec 22, head down to the Penguin Coast at 6.10pm for a meet and greet session with Cookie the African penguin and Sally the Oriental pied hornbill, then troop over to the Pools Amphitheatre for an open-air screening of Penguins of Madagascar by DreamWorks Animation afterwards. While you’re in the Park, you might want to get some Christmas presents for your loved ones. Jurong Bird Park has its own seasonal sales, too: drop by the Feathers Gift Shop for plushies and apparel during opening hours and get 10 per cent off two regular-priced items, or 15 per cent off three items. Still, maybe you’re one of those who prefers to make their own Christmas presents. 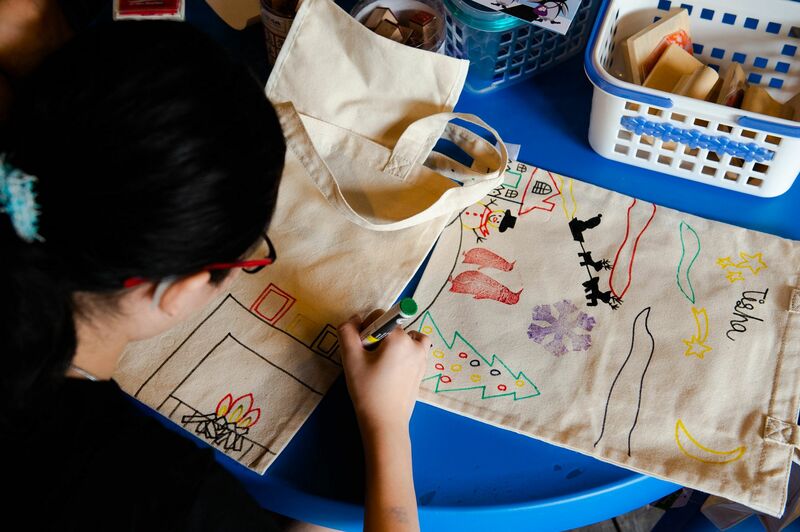 If so, head back to the Penguin Coast on weekends from 10am to 4pm to customise your own penguin-themed tote bag. While you’re there, don’t forget to grab a picture for your Instagram feed with the Bird Park’s mascot, who will make periodic appearances. If somehow all these activities haven’t fully scratched your penguin itch, you can now sign up for a one-year membership at the price of a single one-day full-priced ticket. Register from now until Dec 31 and take home an exclusive penguin collectible pin. This offer only stands while stocks last, though, so make sure you’re quick about it. Or go a step further: become a Friend of the Bird Park and enjoy complimentary tram rides on weekdays, as well as 20 per cent off retail and food and beverage purchases. Local residents can also enjoy up to 15 per cent off admission tickets when purchasing online. Got a weakness for these fluffy “tuxedo cuties”? Visit www.birdpark.com.sg/truecolours to find out more.